During Advent, we sing, O come, O come Emmanuel, knowing that Emmanuel, God with Us is already here. We feel a sense of joyful anticipation that God may become ever more present to us. 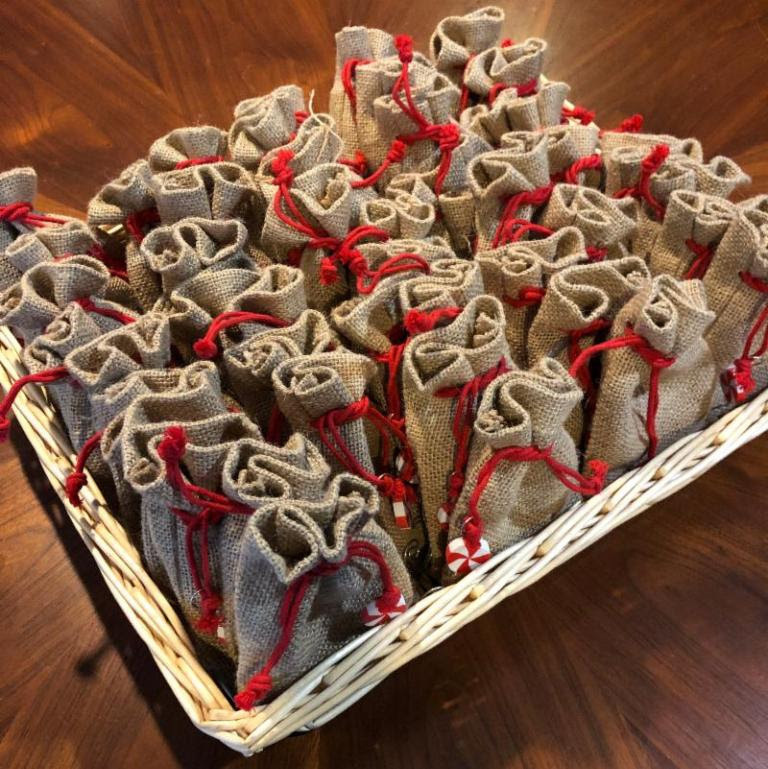 Beginning this weekend, you will find burlap bags in the narthex that contain blessings to read before, during, and after you decorate your Christmas tree! Feel free to take one to share with someone else to help them remember and experience God’s presence during the holidays, too! I love this … I am looking to bless trees this afternoon at a farm before they go out to families. Would you be willing to share the readings inside the bags to serve as an inspiration for me? Know I can’t pull something off this year … but perhaps in a subsequent year … I will definitely acknowledge the idea source!